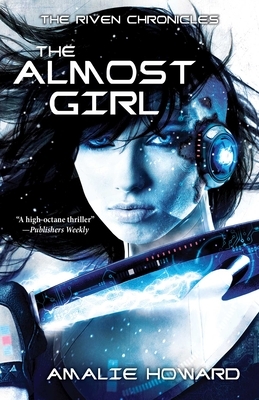 Seventeen-year-old Riven comes from a world parallel to Earth, a world that has been ravaged by a devastating android war. As a Legion General, she is the right hand of Prince Cale, the young Prince of Neospes. In her world, she's had everything: rank, responsibility, and respect. But when Prince Cale sends her away to rescue his long-lost brother, Caden, who has been spirited to modern day Earth, Riven finds herself in uncharted territory. Armed with the mindset of a soldier and racing against time to bring Caden home, Riven must learn how to blend in as a girl in a realm that is the opposite of all she's ever known. Will she be able to find the strength to defy her very nature? Or will she become the monstrous soldier she was designed to be? Amalie Howard is the award-winning IndieNext author of Alpha Goddess, the Aquarathi series, and the Cruentus Curse series. Her debut novel, Bloodspell, was an Amazon bestseller and a Seventeen Summer Read. She currently resides with her husband and three children in Colorado.